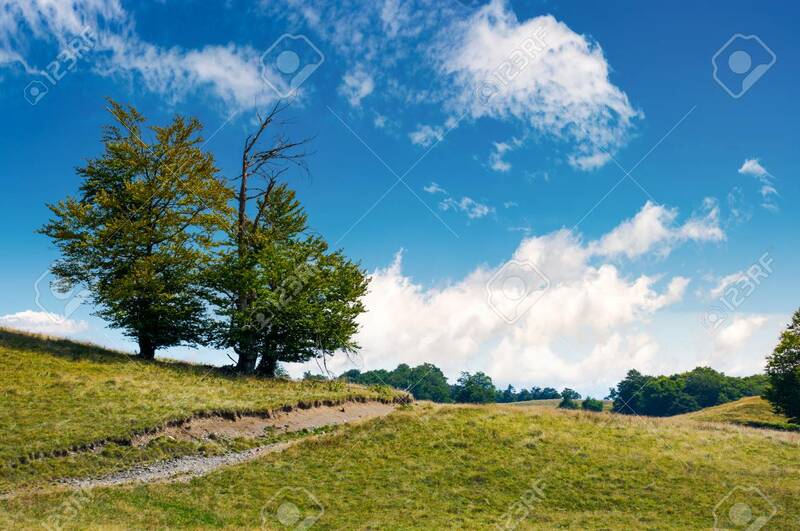 Trees On The Grassy Alpine Meadow Of Carpathians. Beautiful Mountain.. Stock Photo, Picture And Royalty Free Image. Image 101904142.